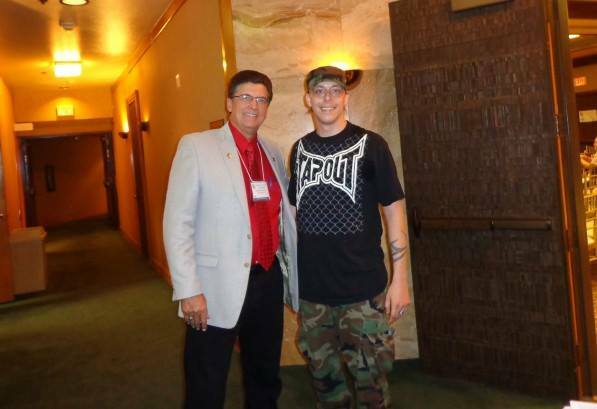 Left: Richard Mack (Oath Keepers, CSPOA), Right: murderer Jared Miller. Mack, one of the leaders of the Patriot movement, also spent years working with racist Randy Weaver, who was affiliated with Aryan Nations. Is Your Local Candidate in Bed with the Patriot Movement? Ask Them Twenty Questions and Find Out! My Political Research Associates and Rural Organizing Project article “Gunning for Office: Oregon’s Patriot Movement and the May 2016 Primary” details fourteen current candidates for office in Oregon who have links to, or support the goals of, the Patriot movement. But there are many more candidates who are obscuring their real views. Some people have asked how they can figure out if a candidate is aligned with this movement. Below are some specific questions regarding commonly held views in the Patriot movement that can be used to quiz candidates. No candidate should give answers that are in line with these views; if they give answers to more than a few, then the candidate has politics that are compatible with the Patriot movement. Feel free to use these questions as worded or tailor them to your local situation. 1. Does Article 1, Section 8, Clause 17 of the Constitution prohibit the federal government from owning any land except for ports, forts, and 10 square miles of Washington, DC? 2. Is the Second Amendment absolute—does it prohibit all gun control laws and restrictions? 3. Is the county sheriff is the highest law enforcement authority, and do they have the ability to decide which laws are Constitutional? For example, if a county sheriff thinks that a gun control law or an executive order is unconstitutional, do they have the power to refuse to enforce it? 4. Should publicly owned land under federal control be transferred to state or county governments? Should these governments have the ability to ignore restrictions against logging, ranching, or mining that federal agencies have passed? 5. Can county governments (or other local land-use committees or sheriffs’ offices) force the Forest Service, Bureau of Land Management, or other federal agencies to comply with county land-use (or other) policies through the “coordination” process? 6. Should federal agencies like the FBI require a county sheriff’s permission before executing warrants or making arrests in their county? 7. Does the 1872 Mining Act prohibit federal agencies from regulating unpatented mining claims? 8. 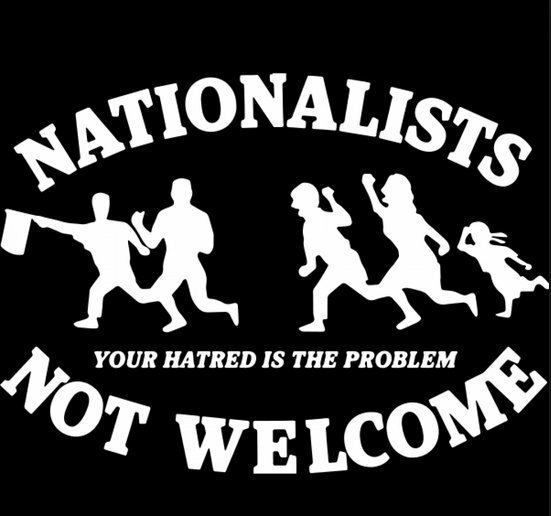 What is your opinion of militia groups, as well as the Oath Keepers, Three Percenters, the Constitutional Sheriffs and Peace Officers Association, Citizens for Constitutional Freedom, or a local Committee of Safety? (In Oregon, other groups include the Heirs of Patrick Henry or Central Oregon Patriots.) Are you a member of any of these groups? On social media, are you in any of these Facebook groups or do you Like or Follow these groups? Have you ever had meetings with these groups, or spoken at a meeting that one or more of these groups have sponsored? 9. Does a Committee of Safety have the right to overturn federal or local laws, or otherwise make legally binding decisions? 10. Do citizens have the right to form their own grand juries, outside of the current legal system as we know it, and put public officials or federal employees on trial for violating the Constitution? 11. Should we be concerned about the Agenda 21 plan to use environmentalism as an excuse for the federal government to seize rural citizens’ property, in order to drive them off the land and into the cities? 12. Is the United States a Republic—but not a Democracy? 13. Was Robert “Lavoy” Finicum led into a trap where he was assassinated, as part of a plan that had been designed in advance by the government? 14. Was it illegal for Ammon Bundy and the other occupiers at the Malheur National Wildlife Refuge to be there? Did they break any laws, other than trespassing? 15. Is the Federal Reserve a corporation that is privately owned by banking families? 16. Were the FBI agents in Harney County really French mercenaries? 17. Is the BLM a private, foreign-owned, off-shore corporation? 18. Are citizens’ militias necessary to keep in check a tyrannical government, which is building secret internment camps? 19. Is the federal government behind recent violent disruptions and false flag attacks, which are a prelude to civil war? 20. Are the 14th and 16th Amendments legitimate, or should only the “Organic Constitution” be followed? Basically, “coordination” is an idea peddled by radical right-winger snake oil salesmen, where they try to convince county commissions that they have the power to make federal agencies like the BLM and Forest Service follow county land use plans. (There are also cases in which a Committee of Safety, and a sheriff’s office, have tried to invoke it) There IS an actual idea called “coordination,” but it says that counties can advise the feds on land use issues, and the feds have to explain their decisions—but the feds don’t have to pay heed to the county’s wishes. Therefore this is a form of “nullification,” where a lower-level government can ignore the dictates of a higher-level one. However, this debate over who had decision-making power was settled in the U.S. with the Civil War, and so “coordination” is a backdoor attempt to revisit this. The FLPMA and other federal documents use the term “coordination” in a different manner than your movement does; they do not say that county’s can dictate to the feds what to do with the land. Below is an excerpt from “Recycled County Supremacy Gains Traction, Lacks Legal Basis” (http://www.mhrn.org/publications/specialresearchreports/MHRN%20Report%20-%20Coordination.pdf) which explains this. The 2011 Montana Legislature [bill] raised more questions than it answered when it came to “coordination.” Sen. Greg Hinkle repeatedly claimed that various federal laws both mandate and outline that federal agencies must engage in “coordination.” He said the process was easy to implement. If a federal agency refused, he claimed, the county commission could contact the Justice Department, and the Justice Department would make the agency obey. Hinkle and numerous other proponents made it sound simple—draft a plan, send a letter invoking “coordination,” and force federal agencies to comply. The legal analysis concluded that Hinkle’s bill, if it had become law, “would have no legal effect on federal land management.” While the word “coordination” and variations of it do appear in federal statute and rulemaking, there isn’t an option that gives counties the ability to overrule federal policies. In fact, the sections of policy that mention “coordination” specifically outline that federal agencies don’t have to conform management plans to meet non-agency objectives or policies. For example, during recent rulemaking, the Forest Service determined that, to achieve the agency’s goals related to stewardship of public lands, it couldn’t be required to make federal land policy mirror local government plans. What the legal analysis determined was that “coordination” (and not the kind promoted by Hinkle and others) is only required in the land-planning process as management plans are created. In regards to both the Forest Service and Bureau of Land Management, agencies promulgate binding federal regulations to interpret how that “coordination” will be conducted. Courts will defer to this interpretation. If “coordination” supporters managed to file a lawsuit, the court would look to see whether the agencies complied with their authorizing statutes and regulations, not whether they complied with a unilaterally enacted county interpretation. The Federal Land Policy Management Act, which Hinkle and his allies frequently reference, is an example of how “coordination” gets distorted. The Act does state that the Interior Secretary shall “coordinate the land use inventory, planning, and management activities of or for such lands with the land use planning programs of other Federal departments and agencies and of States and local governments within which lands are located….” However, the Act is filled with qualifying language. The “coordination” mentioned can only be done if it is practical, upholds the laws governing public lands, and is consistent with federal law. In short, the notion that federal agencies have to make their decisions follow county plans, as Hinkle and SNRC propose, has no basis in federal law or rulemaking. Local governments don’t have the authority to change federal laws and rules. Counties have no authority to assume any control of federal lands, unless Congress granted that authority by waiving the Supremacy Clause. Hinkle and his supporters’ claims have no factual or legal basis in federal law, which governs federal agency actions. Throughout the regulations for federal agencies, it’s important to note the emphasis put on agencies to provide plenty of opportunities for local governments, state officials, and individual community members to review, comment, offer input, and be meaningfully involved when it comes to creating land-use management plans. Counties have the ability to be active participants in this process. Many of the opponents to SB 117 referenced as much during their legislative testimony. However, it’s important that Montana communities understand that, instead of possessing a silver bullet, Hinkle and his allies are shooting blanks. The only result of “coordination” will be lengthy and expensive lawsuits for counties based on legal arguments that have no foundation in law and are sure to lose. The problem for Montana and its communities is that, when it comes to “coordination,” conservatives have adopted anti – government doctrine and are selling it as valid policy. 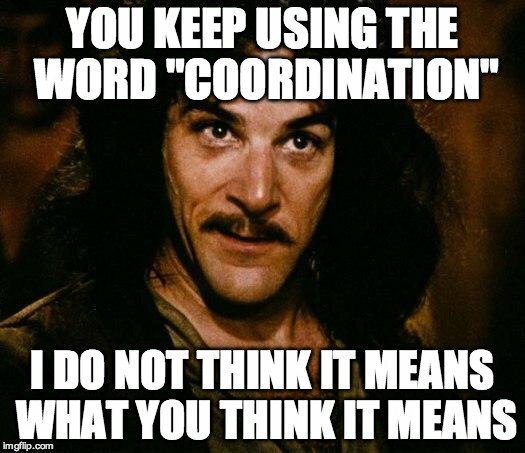 “Coordination,” as Trochmann, SNRC, Hinkle, Hill and others describe it, does not exist. By pushing counties to pursue this baseless policy, the only results will be increased anger at land managers and prolonged, costly, and unwinnable litigation. As a county official in Arizona reported after his state adopted a “coordination” law, the only result was angry community members who thought county employees could use “coordination” to stop implementation of federal programs they didn’t like. 80 Even a SNRC founder admitted that “the mechanics of how coord ination is to be implemented are not written in federal law [emphasis in original].” 81 The legal analysis commissioned by the Montana Human Rights Network echoes these views. Also, a shorter, more accessible article is available from High Country News: “Counties use a ‘coordination’ clause to fight the feds,” https://www.hcn.org/issues/47.8/counties-use-a-coordination-clause-to-fight-the-feds. Spencer, I am wondering what would you think about John Adams, Patrick Henry, George Washington, Paul Revere if you lived in 1783? Would you consider them to be hard right? I am confused, if the candidates are for the Constitution, and they take an oath of office, isn’t that what we want? the “Constitution” that the Patriot movement invokes bears little relation to the one known by the rest of Americans for over two hundred years. for example, i missed the part where it specifies that the county sheriff gets to interpret it — can you point that article and clause out to me? thanks. I think that has something to do with the states rights part. I read somewhere that federal government supposed to protect the countries border from foreign enemies and that the states are sovereign – you know, like their own little country. but we are joined together under the constitution. Spencer, you didn’t really answer my question. I was asking how you would view Adams, Revere, Washington, etc. And you mentioned something about a land article. why doesn’t the Constitution mean what it says about land – you know, 10 square miles, land for ports, forts and other needful buildings. I really am confused. maybe i’m missing something here, but i don’t see how the 10th Amendment grants county sheriffs the right to interpret the Constitution. if the founders had meant it that way, why didn’t they put it in the Constitution? i would not not call Adams, Washington, et al Hard Right. If for no other reason, the concepts of “Left” and “Right” as we know them today didn’t arise until later on in the 19th century. The Left specifically arose in Europe because those who were seeking freedom and equality saw that the democratic revolutions that had overthrown the old monarchs (at least in the places that they had) were woefully incomplete – that society remain unequal and unfair – and that a further step had to be made. so to cast a political category that evolved later on in history over political actors that had lived earlier would make no sense. as for the land question, as i understand it, this country was set up with a executive, legal, and legislative system to ensure the “separation of powers.” those who accept the US political-legal system accept that the Supreme Court gets to decide which laws are in compliance with the Constitution, and which are not. Whether one likes this or not, the courts have ruled that the federal government is not limited to owning “forts, ports and 10 square miles” – and furthermore that this has been a consistent ruling since at least the 1890s. (See “Oregon Standoff: No legal grounds for militants’ land claims — experts,” http://www.eenews.net/stories/1060030897. See also “‘Tyranny’ for feds to keep land, as militants claim? Constitution says no,” http://www.oregonlive.com/pacific-northwest-news/index.ssf/2016/01/tyranny_for_feds_to_keep_land.html). So the Patriot movement is claiming – pretty openly in many cases – that they are opposed to the separation of powers (as well as to a democratic system in general). They believe that self-appointed individuals (always from their political movement) get to interpret the Constitution. Ideally, this is done by the county sheriff, but if one who agrees with their views is not available (ie, Sheriff Ward), activists can simply appoint themselves as possessing the correct interpretation of the Constitution and carry out their decisions with their paramilitary formations. It’s basically a “if i didn’t win in the courts, i’m getting my gun” scenario. I believe that if you are opposed to the doctrine of separation of powers, if you reject the authority of the Supreme Court to interpret the law, and if you think you can deploy a private army to enact your political vision, than you’re no longer part of the U.S. legal-political system as this country has known it from hundreds of years. You bring up Washington. He made his own view clear on this with the Whiskey Rebellion, if I remember correctly. Mr. Sunshine – if I may correct you – we do not live in a democracy – the U.S. is a Constitutional Republic. And the Court should only interpret the laws based upon the Original meanings in the Constitution shouldn’t they? I mean precedent rulings seem to move farther and farther away from the Constitution. It is ok for you or me to interpret the Constitution, but as long as we don’t deploy a private army, we are still part of the U.S.? Doesn’t the Constitution say the federal government can own 10 sq miles and then land they purchase from the respective state(s) with the consent of their legislature land for arsenals, magazines, forts, ports and other needful buildings? and doesn’t also say all new states are brought into the union on the same footing as the other states? i.e. the original 13 states. And why on the east coast is there such a small percentage of land ownership by the federal government compared to western states like Oregon, Nevada, etc.? ‘Just as the separation and independence of the coordinate branches of the Federal Government serve to prevent the accumulation of excessive power in any one branch, a healthy balance of power between the States and the Federal Government will reduce the risk of tyranny and abuse from either front.’. . .” Gregory, 501 U.S. at 458. He quotes President Madison again: “In The compound Republic Of America, the power surrendered by the people is first divided between two distinct governments, and then the portion allotted to each subdivided among distinct and separate departments. Hence a double security arises to the rights of the people. The different governments will control each other, at the same time that each will be controlled by itself.” (P. 922) No one could make this any clearer. The primary purpose of the Fathers was to prevent someone from grabbing all the power. When that happens, they knew, the result is arbitrary, confiscatory, government, the kind Thomas Jefferson described in the Declaration of Independence. We would call it totalitarian. The Founders divided the power even more. They set the limited power the Constitution grants the “general authority,” Madison’s term for the federal government, against the vast residual powers of the states. in my research, I found this information – so you can see I am doing my best to be a well informed citizen. Very well researched and reported, Mary. You are absolutely correct.